Welcome to Week #0 of the OCG 2018.07 format. 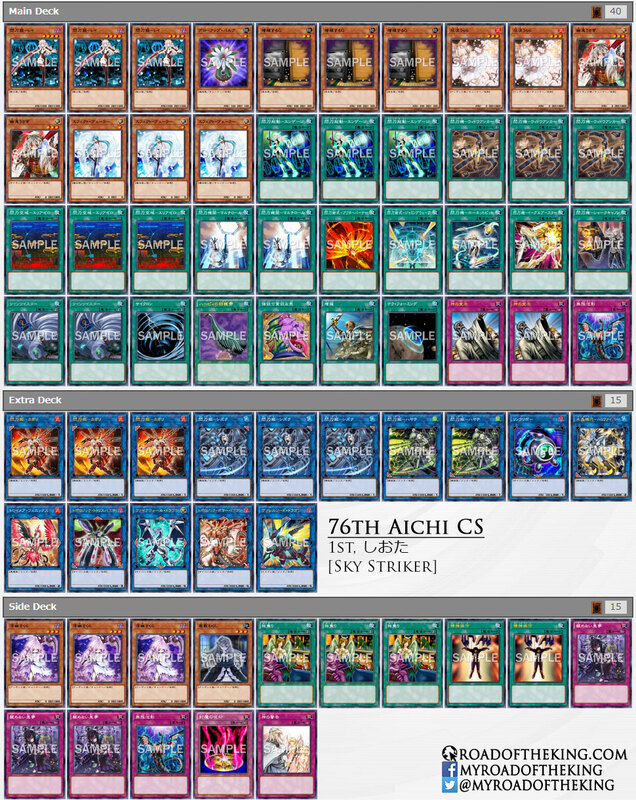 This preliminary report will cover 35 top-performing decks from 6 tournaments that were held in Japan during 23 – 26 June 2018, played under the new OCG 2018.07 Limit Regulation. Shiota (しおた) went 7-0-1 and finished 1st in “76th Aichi CS in NextPro Osu Shop with Hatti CS” (Team 3v3) which had 27 teams (81 participants). With the limitation of Sky Striker Mecha – Hornet Drones, players are going back to the 3 Sky Striker Airspace – Area Zero, 2 Sky Striker Mecha Modules – Multirole build to ensure that they are able to open with Sky Striker Ace – Raye consistently. As Sky Striker is currently the most popular deck, some players are choosing to run Shared Ride in the Main Deck, giving them an edge during the first duel of a mirror match. T went 8-0 and finished 1st in “Super! Ryusei no Arashi Cup with Hatti CS” which had 62 participants. Having Speedroid Terrortop back to 2 copies gave Gouki a boost in consistency. 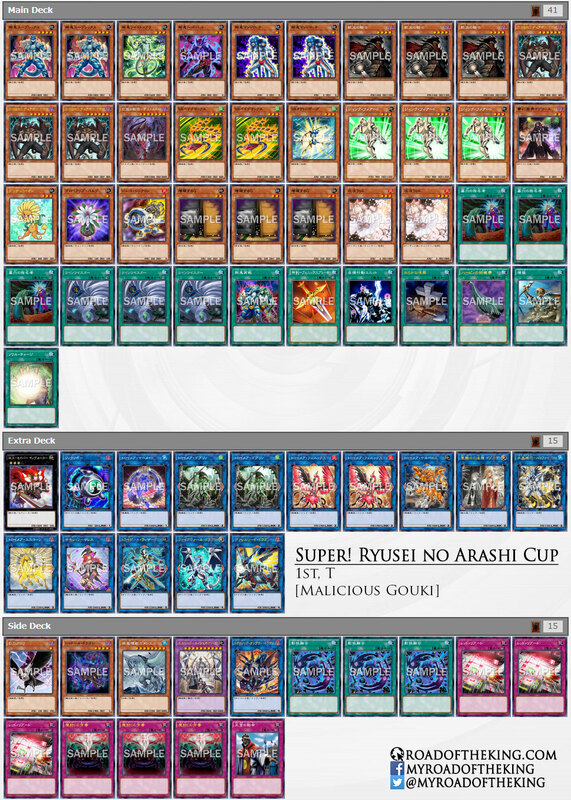 Speedroid Terrortop fetches for Speedroid Taketomborg and together they are used to Xyz Summon M-X-Saber Invoker, whose effect could then Special Summon Gouki Suprex. Some players are also running 3 Magical Mid-Breaker Field in the Main Deck to stop the opponent’s Ghost Ogre & Snow Rabbit, Effect Veiler and Infinite Impermanence from disrupting the combo. 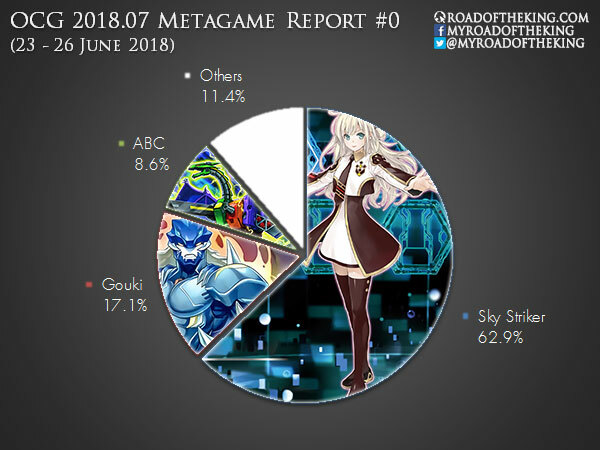 Sky Striker having a strong dominating lead in the dawn of the OCG 2018.07 format, is undeniably the current deck to beat. Gouki follows in second place, but is trailing by a huge margin. Happening on the 8 July 2018 at Kuala Lumpur, Malaysia is the Asia Championship 2018, where the Champion and the Finalist will be representing Asia in the World Championship 2018. With no new product release between this period, we are expecting to experience a similar metagame in the Asia Championship 2018. Do you think the new Thunder Dragon archetype can get into this meta?